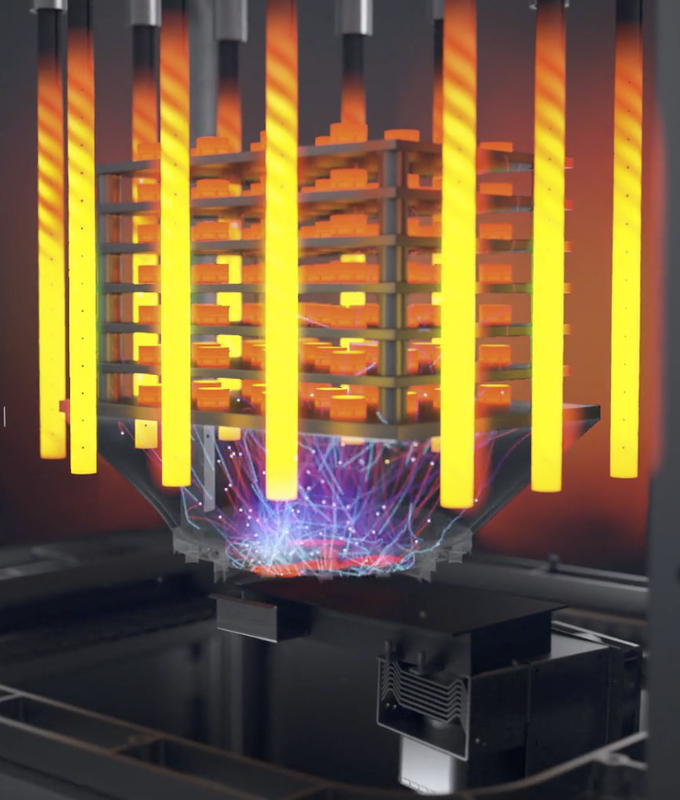 With its office-ready metal 3D printing system, Desktop Metal has reinvented the way engineering and manufacturing teams produce metal products and parts — from conception and prototyping all the way to mass production. Manufacturing will never be the same. At the intersection of business, economics and politics in the United States, there is no subject more controversial than manufacturing. The media can’t decide whether to put the blame on international outsourcing or robots, and you don’t need to look much further than the White House’s PR-driven “Made in America Week” campaign to see that this is a white-hot issue. At stake is nothing less than global leadership. The critical many-trillion-dollar question: What is the future of manufacturing? At Lux Capital, we are partnering with a number of different companies that are stepping up to answer this question, using cutting-edge technology to architect a new future. Desktop Metal is leading the charge with metal 3D printing. Today the company is announcing a $115 million series D round of funding, led by New Enterprise Associates. We are proud to have been active partners with the company since its very first round of funding, and we have doubled-down on our initial investment using a super pro rata, as the company continues to crush its goals and defy expectations. To date, there have been a number of challenges in building 3D printing systems that can take a product from design to go-to-market at scale, and do so in an affordable way, using a wide range of materials, without needing to build enormous new facilities to house them. These problems have prevented the widespread adoption of 3D printing. In just two years, Desktop Metal has built two end-to-end, internet-connected, metal 3D printing systems that, together, are simple and agile enough for prototyping, as well as fast and cost-effective enough for mass production. Check out this video, which walks you through the process. As sophisticated as it is — combining multiple processes into one movement, multiplying output quality and speed by orders of magnitude, etc. — the technology is housed in a super-simple piece of machinery that requires nothing more than an electrical outlet and is as easy to use as a Xerox printer. Its impact on manufacturing will be no less than the copy machine’s impact on publishing, office production and printing. The company was founded just two years ago and a number of large, respected and influential design-and-manufacturing companies, such as BMW, Caterpillar, Jabil and Lowes have already signed on to be customers. The team behind this company is exceptionally well-suited to take on this monstrous challenge. We got to know CEO and co-founder Ric Fulop back in 2004 when he was building A123, a battery maker that broke the compromise people were forced to make in the past between cost and performance. He took it public in 2009. Ric and I were materials-science entrepreneurs at the same time in Boston, and we both moved into VC roles where we again collaborated on investments. A few years ago he identified a gaping hole in design and manufacturing and set about to build an A-team to go after it — again, aiming to create a high-performance product at a low cost, and vastly extend what would be considered possible. The team is the thing that excites us most about Desktop Metal. At Lux we deeply believe that the future will be led by companies and groups of people that all hail from different fields of science, technology and business. If they can find a way to speak each other’s languages, they can fuse their ideas into a new kind of solution — one that even the most brilliant experts in a single field could not have imagined. Desktop Metal’s interdisciplinary team includes experts in robotics, materials science, data science, and mechanical, electrical and software engineering. Ric, a creative thinker with an uncommon ability to identify and bring together exceptionally talented people — has constructed a team of MIT professors and industry leaders across multiple fields, including robotics, materials science, data science, and mechanical, electrical and software engineering. Their combined wisdom and experience, as well as their different approaches to solving the many puzzles inherent in 3D printing, have led to dozens of unique insights and patents, all of which come together in a radical new approach to creating and building things. In the near future, this process will be used to design and build everything from razors to fuel injection pumps, as well as obscure or discontinued parts that were previously hard to find. As if the machines, themselves, were not ground-breaking enough, Desktop Metal is also rethinking previous business models. The company is selling the equipment with service and support warranties, as well as leasing systems to outfits that want to consistently upgrade, all the while creating a business around its sophisticated design software. The real properties that make metals so mesmerizing and useful to the world are the metaphorical properties that make great founders: They can conduct when the heat and energy gets turned up really high, they are incomparably strong, have a high density (of talent) and can withstand a lot of stress without cracking. In the end, all these super-tough characteristics are also what allows them to shine. It is this combination of strength, creativity and rebellion that will lead the way toward a new future in manufacturing — and a new opportunity for global leadership.